We showcased our work to date last Friday on the vision for government service delivery, Digital Service Standard and the Digital Service Design Guide. Over a 1000 viewers across the nation hooked into the live webcast. Many questions were raised in the session from our engaged audience (both within the room and online). Individuals were eager to understand how they can each make a difference and deliver better government services that are user focused. 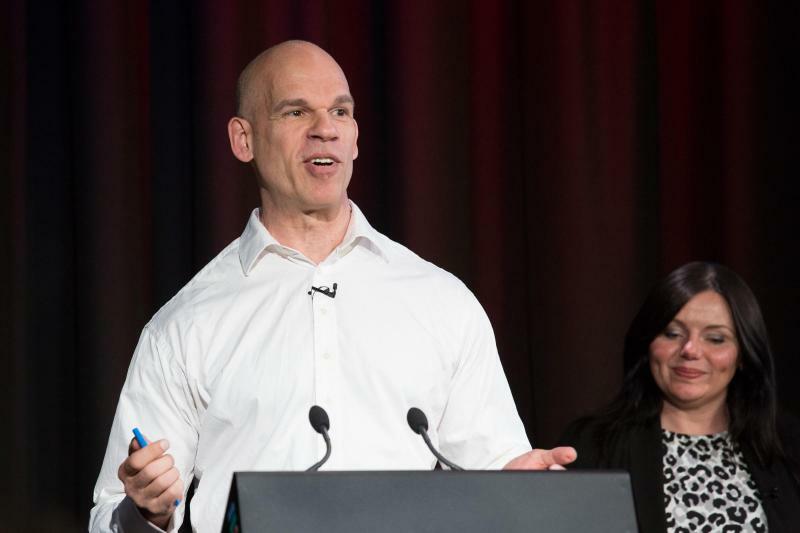 Caption: Paul Shetler presenting at the DCoP event on 4 September with Jane Speechley (MC) in background. Thank you to those who participated in this event, we’ve received a lot of positive feedback. During our session #DCoP trended as number 1 in Australia on Twitter! If you were unable to make it last week you can still view the 4 September 2015 webcast and our followers’ thoughts and feedback on our webcast wall. The on-demand video will be available later today. Also, we invite you to attend our next webcast event scheduled for Monday 14 September (10.00am to 12.00noon). We will discuss the purpose of assuring government services, the process, how we meet the Standard as well as hear from our colleagues in the UK and service managers about their assessment experiences. To get a better understanding of how we can improve government services, join our webcast for the 14 September.